TThe event shall be held at the National Institute of the Atlantic Forest in Santa Teresa, in the mountainous region of the Espírito Santo, about 80 km from the capital city Vitória. ​The event will provide a bus to Santa Tereza for the participants. This bus will be available starting from UFES (in front of the University theatre) at about 4:00 p.m. on Sunday, 03. On wednesday, 06, after lunch, at about 2:00 p.m., another bus should take the participants back to Vitória. 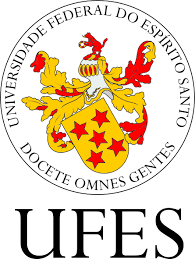 The arrival at Vitória should be about 4:00 p.m., then it is advisable to schedule the flights to after 5:00 p.m.
​In case you need help with your reservation, please contact us at site@cosmo-ufes.org.